We look forward to hearing what they decide are the key priorities for the year. The School Council are responsible for tidying playtime toys away. They have also spoken to Mrs Whyte about refurbishing the Hobbit Hole and are looking into fundraising projects to help fund this. We believe it is our responsibility to make sure everyone at Woodton Primary School is happy and safe. We will be the voice of all of the children at our school. We will share the children’s ideas with the staff and parents which will improve our school and make it a better place. This year, to date, has been rather a busy one and we don’t expect it to quieten much in the coming term! We would like to take this opportunity to share with the Parish Council just a few of the things we have achieved so far. This year, as always, we have been very focused on raising money for different charities because we understand that we are rather lucky and unfortunately not everyone is as lucky as us. So far we have covered a Pudsey Bear with change for Children in Need, wore denim for the charity Jeans for Genes, held a coffee morning for McMillan Cancer, wore red noses and clothes for Comic Relief and filled 22 shoe boxes for the Samaritans Purse Appeal which sends toys and toiletries to children overseas, usually in war torn countries. Both classes have also had lots going on during the school day. Oaks, who are Key Stage 2, have been to Peterborough for a Stone Age Experience Day, had cycling safety sessions, swimming lessons at Hobart and taken part in many sporting activities and competitions within the local area. The children also made a unanimous decision to adopt a sea turtle, which they called Charlie, from the WWF instead of receiving a Christmas gift from their Class teacher. Willows, who are Reception and Key Stage One, have been working hard outdoors using our new outdoor area lots, had road safety lessons and roadshow and are looking forward to the upcoming Tennis Event at Hobart High School. As a school we have also been lucky enough to have a Christmas Bazaar and disco, Halloween Party and Easter Extravaganza all hosted by our wonderful PTA. We, as School Council, have also been able to spend some of the money raised by the PTA on new outdoor equipment and are planning for what will be our next project. Over the Easter holidays a group of volunteers, including four people from Tescos, came into school and cleared a large area of overgrown weeds which we are hoping to turn into a Nurture Garden where we can sit peacefully and enjoy the wildlife. We are also about to start working in partnership with Adnams to develop the gardening and grounds of our school. We are very fortunate to have many different clubs running at Woodton which include Karate, Art, Football, Gymnastics as well as additional piano and recorder lessons. Our Choir has recently taken part in a local Choral Event where they sang two contrasting songs in front of a large audience. This was a great achievement for such as small group who really made us all proud. This term, although still full of lots of learning, will again, hopefully, see us performing our Key Stage 2 summer play at the Village Hall, compete in more sporting competitions and also holding our wonderful Summer Fete, on Saturday 24th June, which you are all very welcome to attend. 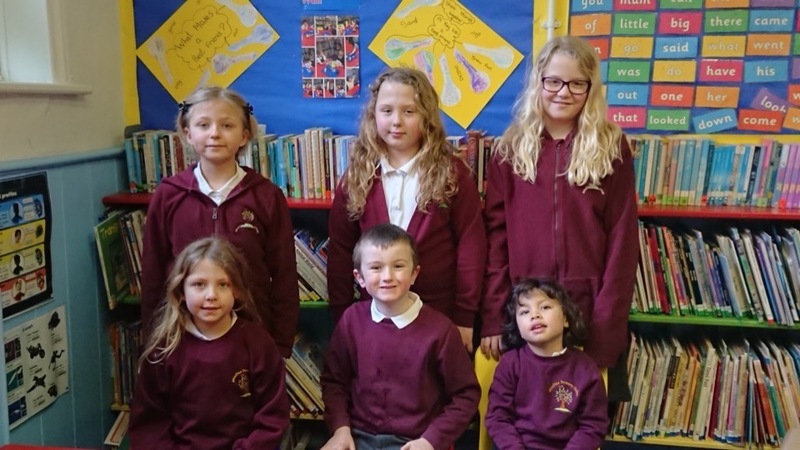 Finally, we are extremely proud to have welcomed many new children to Woodton Primary, this has seen the number in each of our classes increase, which has meant our school family has grown and improved. We hope you’ve enjoyed this brief insight into our school. Please feel free to visit our school website at www.ellinghamandwoodton.co.uk which has photos of events we have taken part in and further information all about daily life at Woodton Primary School.